Review: When Theo's mother is killed in a bombing, he becomes a child without a home. His adventures begin when he is taken in by a classmates wealthy family and then moving in with his father (who previously abandoned him). In the opening section, young Theo describes the events leading up to his mother's tragic death and how he comes into possession of a valuable painting called The Goldfinch. He is taken in by his friend's wealthy family, who have their own quirks. First of all-I could not figure out what year this was supposed to take place. The beginning section opens with Theo in his mid-20's and then flashes back to the time of his mother's death. Theo has a cell phone, his mother references Tom Ford sunglasses that were available in mid-2000s (2004 I think) and then eventually he heads to Vegas where the housing crisis is mentioned (but that happened in 2008). Texting is rarely mentioned. A few more things that didn't make sense were some of the logistics mentioned around NY. I'm by no means an expert on NY transportation systems but some of the details were inaccurate (there are also a few restaurants in the museum Theo and his mother are in that are never mentioned, but that was probably more due to the plot). I was able to overlook this but for some readers, I can see how this would be an issue. Now, the timeline and misc NY issues aside, I loved this section. I think she did a great job bringing NY to life, the characters were vivid and I could not stop reading. The Balfour's (wealthy family he lives with temporarily) were an interesting crew, especially the cool and aloof Mrs. Balfour and her eccentric husband. Theo also befriends a furniture and antiques dealer, Hobie, who was an interesting character. Theo's father, who abandoned his mother and him several months before the tragedy, shows up with his girlfriend and takes Theo to Vegas. This section read more like a young adult novel. The first rule of YA: get the parents out of the way. Theo's father (an alcoholic with a gambling problem) and girlfriend let him do pretty much what he wants and he meets up a friend and neighbor, Boris, who also conveniently has a father who works out of town. Although this section was rather repetitive, I couldn't get enough. Theo and Boris spend most of their days drinking, experimenting with drugs and stealing. While their behavior was different from my teenager years, they had difficult home situations and coped as best they could. Theo eventually finds himself back in NY after his father is killed in a car accident. He moves in with Hobie, graduates from high school and starts taking college classes. The book then jumps forward 8 years, and Theo is a partner in Hobie's furniture restoration and antiquities business (how he became an art expect is anyone's guess, wish she had expanded on this). While I loved the first 2 sections, the book fell apart for me here. Theo is a complete mess. He is a cheat, swindler and drug addict. At this point in the story (there are still several hundred pages left) I was hoping I had enough sympathy/empathy for Theo to care about him. Unfortunately, while I understand why he turned out the way he did, I absolutely could not stand him. Hobie and Pippa (girl who Theo secretly loved for years) had potential but were mostly one dimensional. Theo runs into Boris in NY (they had barely any communication since Theo left Vegas) and the story then turns into a caper of sorts focused on the elusive painting (which Theo could have anonymously mailed back to the museum at any time). They travel internationally, there is a murder, Theo is stuck in Europe due to a passport issue, he is depressed, he abuses drugs, he abuses drugs, he abuses drugs. Did I mention he abuses drugs? We ever know about the color of his vomit at times. Really, I can't tell you how many times I rolled my eyes at the ridiculousness of this section as well as how much I started skimming because it was so verbose. In case you are wondering, yes, the previous sections were also very repetitive and inflated, but it didn't bother me as much because I was enjoying the rest of the story. Now-my final beef was the closing exposition of the book. It was so self indulgent, I don't know how it got past the editor (I'm not even sure if there was an editor for this book, several hundred pages could have been cut out). I loved the first 2 sections of the book while the last section was a huge disappointment. 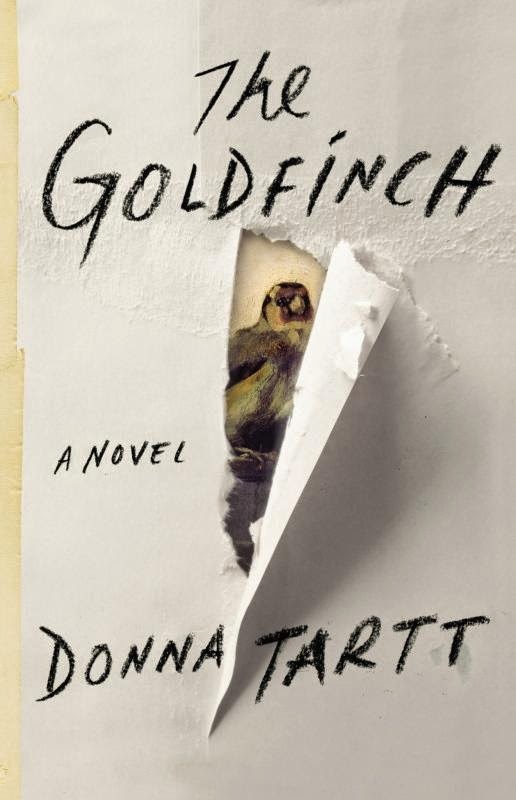 Tartt is a beautiful writer and can craft an good story, although at times she is very repetitive. Overall, I liked it.